I assume that most people's childhoods were fueled with chocolate milk, or Tang, or those little plastic barrels with the foil tops filled with grody sugar water. Not mine; I have no nostalgia for these things. There were many legends and rumors about the soft drink known as Sun Drop. We heard that it had more caffeine than eight cups of coffee,** and it was said that Sun Drop was illegal in most states because of the obscene and criminal amounts of that same devil-stimulant. Sun Drop had been around since my parents were young, and it was unique at one point for having bits of pulp floating in it, like real fruit juice. Those were long gone by the time I was in High School, and knowing that they got rid of them makes me wonder what they were, and also afraid to find out. Our addiction was such that a good deal of our social time was spent simply getting a fix, or on a "Sun Drop run". Back and forth to gas station convenience stores for translucent green 20 ounce bottles. We needed that stuff. It was common for the floorboards of our cars to be ankle deep in empty Sun Drop bottles. This was a thing that we were accustomed to, despite the low breeding of having a filthy automobile. We forgave Sun Drop bottles. It fueled marathon Dungeons and Dragons games and was mixed with vodka (or moonshine) in more insane party binges. It was in our blood. Probably literally. They say that antifreeze is dangerous because it is terribly poisonous but also terribly delicious. A domesticated animal will lap up that horrible stuff because it tastes so wonderful. This is the curse of Sun Drop; it tastes as good as anything ever bottled by the white devil's machines, but as far as sodas go, it is as close to arsenic as you can get. In retrospect, it's a miracle I'm not chubbier than I am. In fact, its a miracle I'm not downright obese, moving slowly down the sidewalk in a rascal scooter and wearing jeans with elastic at the waist. The amount of sugar I ingested from Sun Drop alone, from birth to age 18, was probably something along the lines of several wheelbarrows-full. If the world was fair, and metabolisms were even-stevens, everyone in "Sun Drop country" would be living with adult-onset diabetes by age fifteen, as opposed to the forty percent or so that it strikes currently. 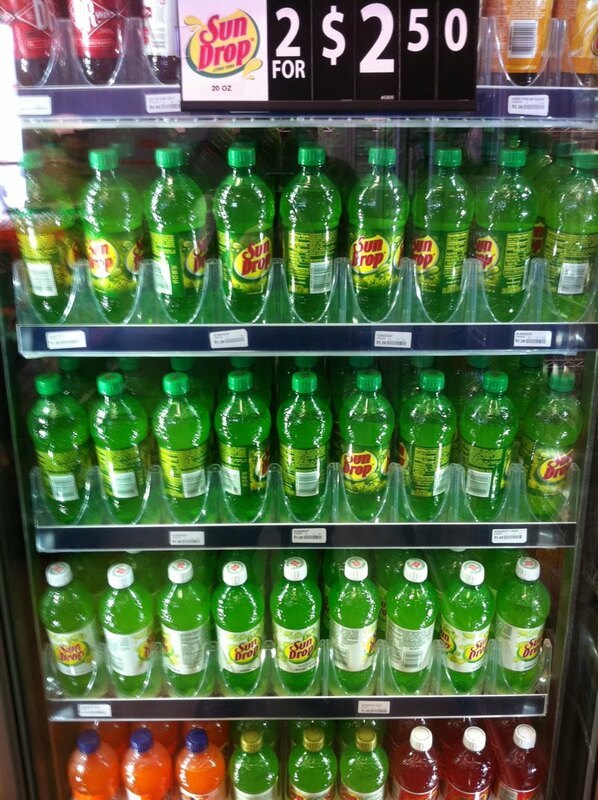 Yet for all the cane sugar and caffeine and artificial food coloring and other assorted toxins and lab-rat killing chemicals, there is nothing I crave like a Sun Drop when I get off the plane in god's country, middle Tennessee. It is displayed in coolers in solid rows, glowing green in a neon ziggurat like the front doors of Emerald City. You see that display, and all the folly of youth races back into the reptile part of your brain. The craving begins. That sweet, syrupy, fake citrus calls to you like a carbonated siren song. You walk slowly under the fluorescent lights, past the corn-nuts and pork rinds, ignoring the beer coozies and NASCAR ball caps. 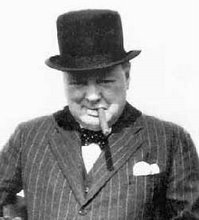 Despite watching your diet and spending hours at the gym, that nasty stuff has triggered something in you, like the Manchurian Candidate. You are powerless. Everyone I know that has emigrated out of that particular stretch of the southern United States harbors a deep-seated longing for Sun Drop. Cases shipped from home are treated like fine wine, broken out only on special occasions. 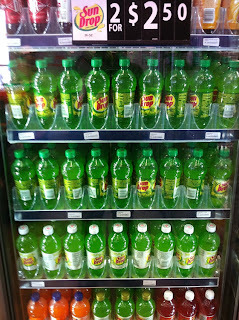 It seems people still in the south take Sun Drop for granted. They laugh at the desperation with which we expats chug our first bottle, after being away for months at a time. But when you ask, "I'm getting a sun drop... Do you want one? ", they will always, always, always respond with a thirsty "yessss". Because Sun Drop is awesome. * does such a thing exist? It should. I remember the halcyon days of Sundrop with pulp. Scouring the coolers, turning each bottle upside down to find one with the "correct" sedimentation. 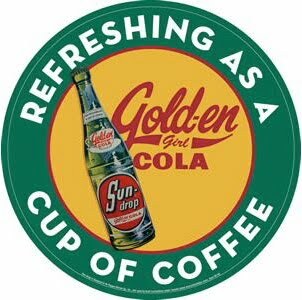 Yeah that's back when Sundrop was made in Tullahoma, that recipe is in the dust bins of history. Now its moved west, to Texas. A bitter shame if you ask me, BUT they mostly get it right and I'll be a fan till I'm gasping/wheezing my last breath...........Yeah I've had it sent to Kandahar, Afghanistan, it was worth every goddam penny too. Special Note - Sundrop is in Blue Velvet; now how Awesome is that? VERY awesome, Mr. Shores. Very awesome indeed. I didn't realize it was brewed in Texas. These truly are dark times. Apparently Sun Drop is also huge in northern Wisconsin. My other favorite southern soda? Cheerwine. That stuff is crazy. When I was a kid we'd drive back to Tullahoma Tennessee where my mom's family all lived and haul cases of Coors beer back to my uncles who craved that stuff like people always do when they can't get something. For the trip back to Houston we'd fill the trunk with Sun Drop. I always felt like we got the better end of that deal. Its popular in All of NC. I love on its east coast and its a big deal here. I still buy it in glass bottles with pulp in it. I have 2 in the fridge now. I tried the plastic bottles and canned versions. nothing compares to the glass bottled, with pulp in it. There is a store not far from me that stocks it just for me and one other customer, been buying it there for 15+ years. Yes, we drive up to Shawano, Wisconsin to buy a years worth of 16 oz. Sundrop Soda made with sugar and no corn syrup. It still has the bit of pulp floating in the bottom. Nothing compares to the good taste.